The book presents a representative selection of the papers presented at the second Conference on Caribbean Culture in honour of Kamau Brathwaite. 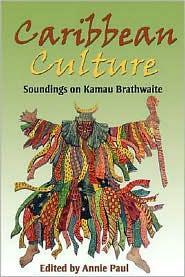 It offers an interdisciplinary range of studies that range from analyses of Braithwaithe's creative and critical work to interventions in the fields of social history, cultural studies, gender studies, linguistics and sociology, that have been either directly or indirectly influenced by Braithwaite's own pioneering work in Caribbean social history and cultural studies. The manuscript offers the most current critical commentary on the work and ideas of Kamau Brathwaite, and it also provides an extremely useful range of analyses of contemporary Caribbean culture and social history. The primary target audience is academics and students working in the field of Caribbean and cultural studies, while the secondary audience includes researchers working on Kamau Brathwaite's creative and critical work.